I have noticed that sometimes you don’t spot interesting pictures at once. I took this a few months ago and when I looked at the photos my interest was focused on some other pictures. It was only more recently that I returned to this close up of deer carcasses tied together on the back of an all terrain vehicle heading back to the deer larder. I know it would not be everyone’s favourite subject but I think it works well as an image. I was pleased to find it when going back over some photographs. 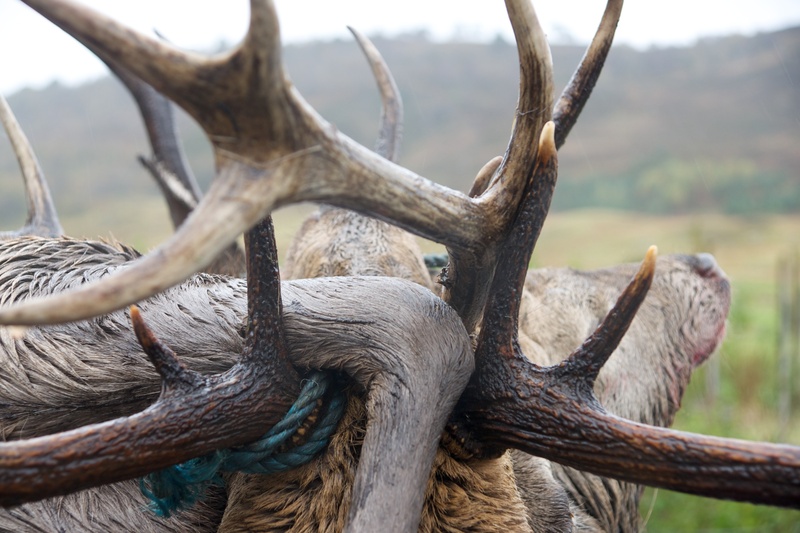 Posted in Photography and tagged Antlers, Deer, photography, Scotland. Bookmark the permalink.